BioPatch – the multi-talent not just for smartphones. We have repeated requests, what to look out for when harmonizing a smartphone and where the BioPatch is positioned correctly. This page is aimed to provide exactly those answers. In the event that questions remain, please contact us. You can find our contact information at the bottom of the page. Tablet computers also require harmonization. They are frequently rested on the body or held in your hands and thus create direct cell contact. 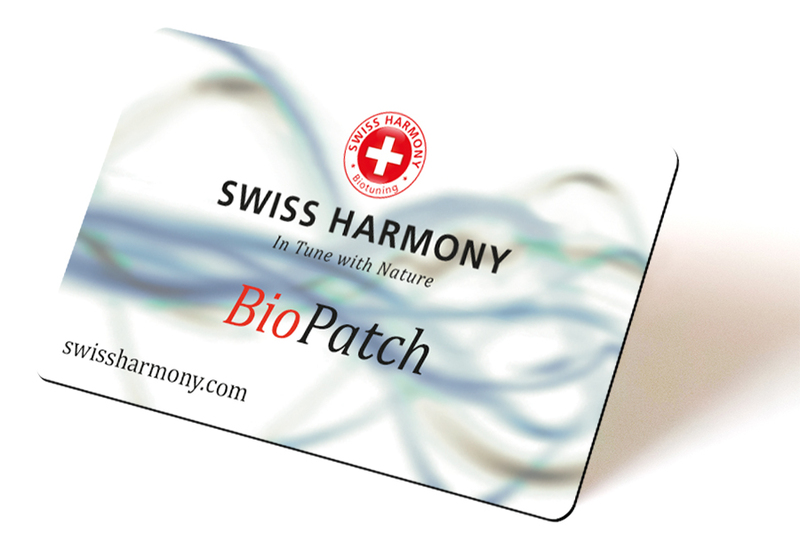 If the tablet is connected to a power outlet that is already harmonized, by a Swiss Harmony BioHome installation, then it is already harmonized and not a danger to your health. Without this direct connection with harmonized power, smartphones, and tablets, as well as simple cell phones and cordless phones, produce their own electromagnetic pollution. This may act directly on the brain cells. In this situation, an additional BioPatch for these devices is recommended. 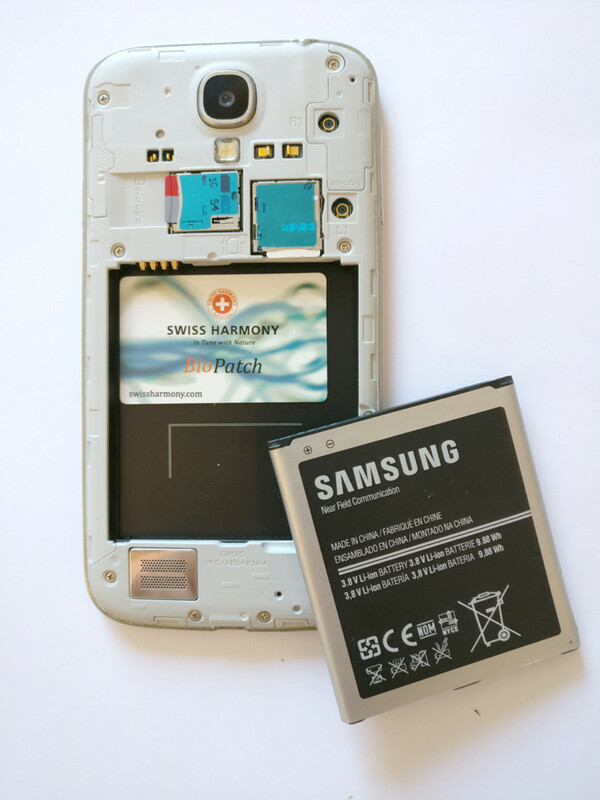 The majority of smartphones have a removable cover, which grants access to the battery compartment. In this case it is advisable to place the BioPatch under the cover. Optimal place: Under the battery. The BioPatch in position under the battery. The BioPatch underneath the removed cover. It is NOT important, in any installation situation, which side faces up and which side faces down. 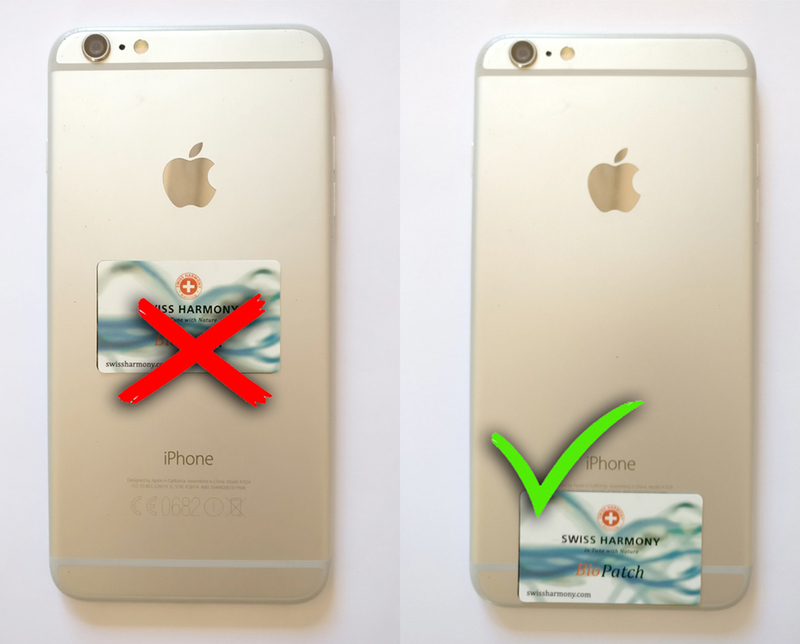 For Smartphones that cannot be opened as illustrated it is advised to use a cover for the phone and place the BioPatch between cover and phone. 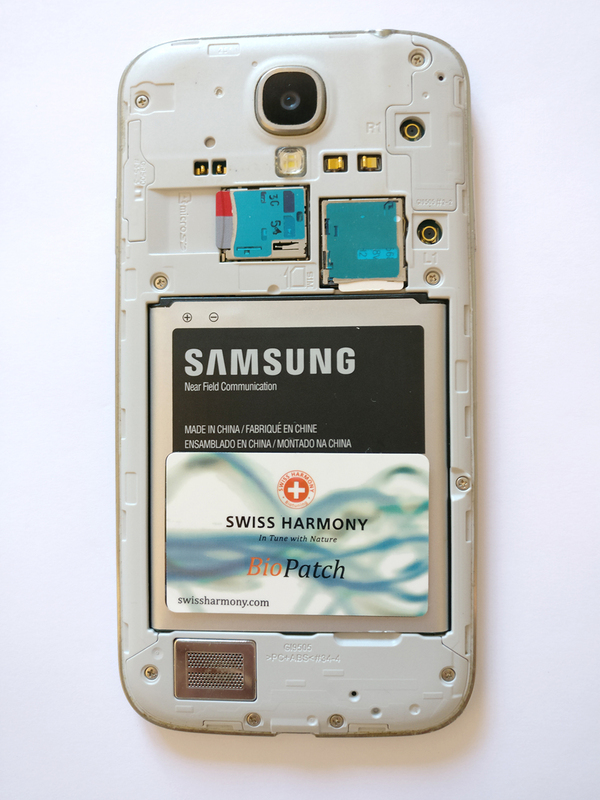 In this case, you would not need to stick/tape the BioPatch to your phone as the case will sufficiently secure it. For those who do not want to use a case, you can use the “Hafty”, which is provided or just use some sticky tape. Both sides of the Hafty are lines with nano suction cups that are ideally used for other applications of the BioPatch. Personally, we have found that the Hafty is too thick to be comfortably used on a smartphone. Caution: Smartphones and tablets with an aluminum backing! Aluminum has isolating properties and does not allow for information to pass through it. According to our knowledge if a harmonizing product is placed on aluminum then its function is severely impaired. The most popular phone that has an back made of aluminum is the iPhone. From the iPhone 5 onwards the majority of the rear panel is made from aluminum, with thin strips of glass or plastic. In the newer Apple models the Apple logo is inset and not just a glossy part of the usually brushes aluminum back. A good place to install the BioPatch would be either on the glass/plastic strips or on the inset Apple logo. Another popular phone is the HTC One, which has a similar rear design as the iPhone. Figure 3 show an example on the iPhone 6 plus. The BioPatch is covering a small portion of the plastic strip. From the iPhone 6 onwards the Apple logo on the back is inset (exception is the iPhone SE) So you could place it on the apple logo as well. Do regular cell phones and cordless home phones also need a BioPatch?